Dr. Magdalena Mo Ching Mok is an Advisory Board Member of Validity Partners, LLC. Her advisement focuses on innovative solutions to assessment, testing, and evaluation of learning outcomes in K-12 Education with a specialization in self-directed learning oriented assessment research and applications. Dr. Mok is a Chair Professor of Educational Assessment and Evaluation at Department of Psychology, The Education University of Hong Kong, Hong Kong. She also serves as Chair Professor at the Graduate Institute of Educational Information and Measurement, National Taichung University of Education, Taiwan. She received her PhD degree from the University of Hong Kong in 1988. Her interests focus on educational measurement and statistics, and she has published over 90 refereed articles in those areas, and over 47 refereed chapters, edited and authored books. Dr. Mok is Director of Assessment Research Centre (ARC). Dr. Mok’s research interests focus on the integration of assessment and self-directed learning to enhance instruction and learning. 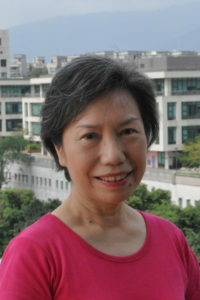 She has developed the online assessment tools including the “Assessment Programme for Affective and Social Outcomes (APASO) – II” and the “Schools Value-Added Information System (SVAIS; with Dr. Peter Hill)” for the Education Bureau of Hong Kong. Dr. Mok is editor-in-chief of the international journal Educational Psychology: An International Journal of Experimental Educational Psychology (Taylor & Francis). Her publications include Self-directed Learning Oriented Assessments in the Asia-Pacific and Adolescents’ Civic Engagement: A Study of Five Asian Societies (with Kerry J. Kennedy and Jinxin Zhu). Dr. Richard J. Shavelson is an Advisory Board Member of Validity Partners, LLC. His advisement focuses on innovative solutions to assessment, testing, and evaluation of learning outcomes with a specialization in value added evaluation in higher education. Dr. Shavelson is the Emeritus Margaret Jacks Professor and I. James Quillen Dean of the Graduate School of Education, Professor of Psychology (Courtesy), and Senior Fellow in the Woods Institute for the Environment at Stanford University. 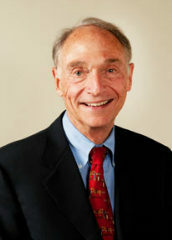 He served as president of the American Educational Research Association, is a member of the National Academy of Education and the International Academy of Education, and is a fellow of the: American Association for the Advancement of Science, American Educational Research Association, American Psychological Association, American Psychological Society and the Humboldt Society (Germany). His current work includes assessment of undergraduates’ learning including the Collegiate Learning Assessment, accountability in higher education, and international performance assessment of learning. His publications include Statistical Reasoning for the Behavioral Sciences, Generalizability Theory: A Primer (with Noreen Webb), Scientific Research in Education (edited with Lisa Towne), and Assessing College Learning Responsibly: Accountability in a New Era (2010, Stanford University Press). Dr. Mark R. Wilson is an Advisory Board Member of Validity Partners, LLC. His advisement focuses on innovative solutions to assessment, testing, and evaluation of learning outcomes in K-12 Education with a specialization in learning progressions research and applications. Dr. Wilson is a professor of Education at UC, Berkeley, and also at the University of Melbourne. He received his PhD degree from the University of Chicago in 1984. His interests focus on measurement and applied statistics, and he has published over 120 refereed articles in those areas, and over 60 invited chapters. Recently he was elected president of the Psychometric Society, and also president of the US National Council on Measurement in Education (NCME); he is also a Member of the US National Academy of Education, a Fellow of the American Educational Research Association, and a National Associate of the US National Research Council. 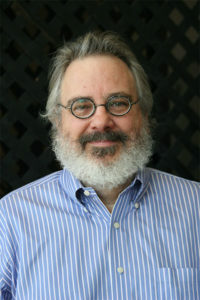 Dr. Wilson is Director of the Berkeley Evaluation and Assessment Research (BEAR) Center. His research interests focus on the development and application of sound approaches for measurement in education and the social sciences, the development of statistical models suitable for measurement contexts, the creation of instruments to measure new constructs, and scholarship on the philosophy of measurement. His publications include Constructing Measures: An Item Response Modeling Approach, Explanatory Item Response Models: A Generalized Linear and Nonlinear Approach (with Paul De Boeck), and Systems for State Science Assessment (with Mary Bertenthal).